You want your event to be spectacular, and food is naturally on your guests' minds. You want your event to be spectacular, and food is naturally on your guests’ minds. If you’re looking for an unforgettable experience the next time you plan a corporate retreat or company meeting, here are some quick pointers to guide your selections. It doesn’t make sense to serve up donuts and soda if you’re running a health clinic. Instead, try a spread such as our “On the Healthy Side” option. With fresh-squeezed citrus, fruit, eggs, granola and Greek yogurt, your guests can lighten up their day with you while learning about healthful eating. On the other hand, if you’re hosting a sports-themed event, nothing comes close to our “7th Inning Stretch,” full of ballpark favorites such as Cracker Jacks, mini Coney Island dogs and root beer. Are you taking a day trip or hoping to enjoy some fresh air during your event? Simply avail yourself of our Grab and Go lunch boxes, packed with a range of sandwich choices in addition to fresh fruit, bottled water, trail mix and a cookie. Plated or passed appetizers are an excellent way to encourage interaction among your guests. Small, delicious bites give people something to talk about while they get to know each other, engage in group activities, learn new skills or brainstorm solutions to company issues. Many people experience an afternoon dip in energy, especially when your morning is packed with meetings or workshops. A small break buffet of fruit, small sandwiches, pastries or protein bars around 2:30 p.m. can help event attendees refuel to finish out the day. When you’re planning a company event, it’s likely that at least some of your crowd is flying in from distant climes. Give them a day/weekend/week to remember by selecting an event site that’s as attractive as it is functional. 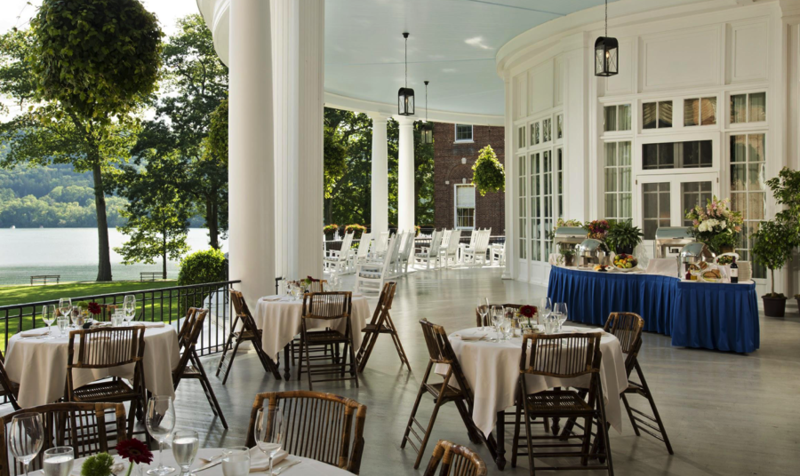 The Otesaga Resort is just the perfect setting, situated lakeside and steeped in New York history. When you plan an event here, your guests will not only benefit from your rich industry experience, they’ll also head home relaxed and empowered.